What is a rain gutter? 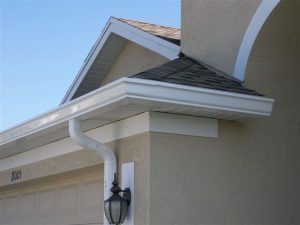 A rain gutter (from Latin gutta : drop), also known as a “rain catcher”, is a narrow channel, or trough, forming the component of a roof system which collects and diverts rainwater away from the roof edge. 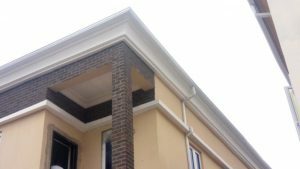 It is also known as an eavestrough (especially in Canada), eaves channel, dripster, water collector (in Nigeria) or simply as a gutter. 1. 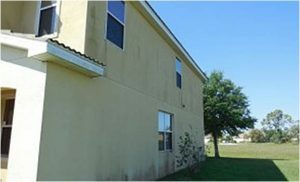 Rain gutter protects a building’s foundation by channeling water away from its base. 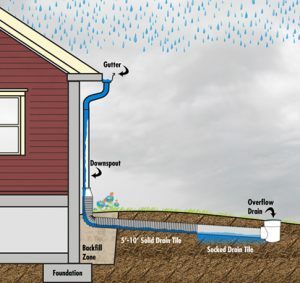 The gutter also helps to reduce erosion and prevents leaks in basements. 3. 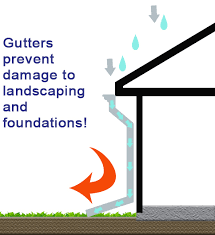 Rain gutters prevent rain back-splash and protects painted wall or surfaces from dirt/mud splash. 5. 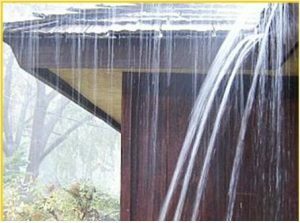 Gutters are also very effective at keeping building egress areas clear of falling water. Going into a house entrance below water running straight off the roof in a heavy rain is literally like walking through a waterfall. 6. Rain gutters boost the value of your property. 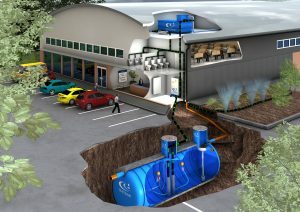 Properly customizing your water collection system adds value to the property. Exterior Add-on increases the value of buildings. In fact, It has been revealed that exterior add-on has an 86% return on investment, for people in real estate – many home buyers do judge a book by its cover. Rain gutters make your building to stand out and unique in some way..